We delight OUR customers through awesome content, interactivity, visual design, usability, scalable and integrated technology. All our solutions ensure customer loyalty due to our perfect blend of design and technology. Take the first step toward drastically improving your customer experience with a risk-free 2 minute custom content sample. Do you want to create a “WOW” effect and attract customers to buy from you again and again? Allow us to first design and then differentiate your company; thereby bringing about customer loyalty. By design we don’t mean “making things pretty”. 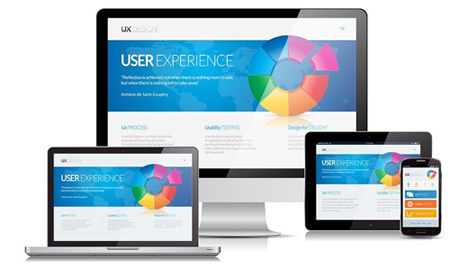 We’re talking about a complete user experience! It doesn’t matter whether you offer learning solutions, mobile Apps, Web Apps, publishing or digital marketing solutions. We delight YOUR customers through awesome content, interactivity, visual design and usability. But design alone is not enough. We also need to correctly balance it with superior technology for a truly engaging experience. We apply futuristic, scalable and integrated technology to create sheer magic. First we analyze and understand your users. Then we design and develop simple, accurate solutions. We do this with the help of our experienced team of domain experts, instructional designers, UI/UX designers, developers, and testers. We have expertise in all the popular tools and applications to deliver the best output.